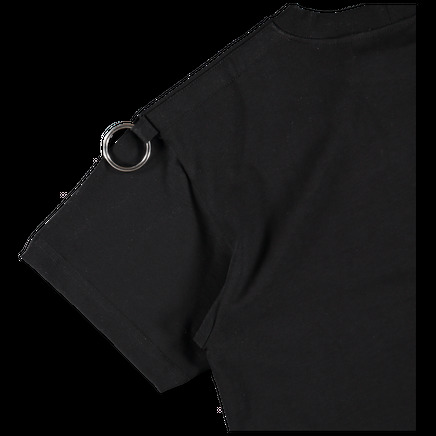 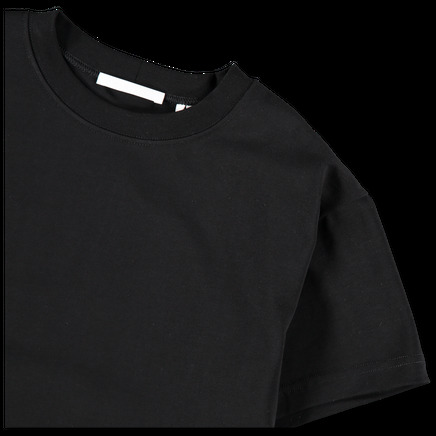 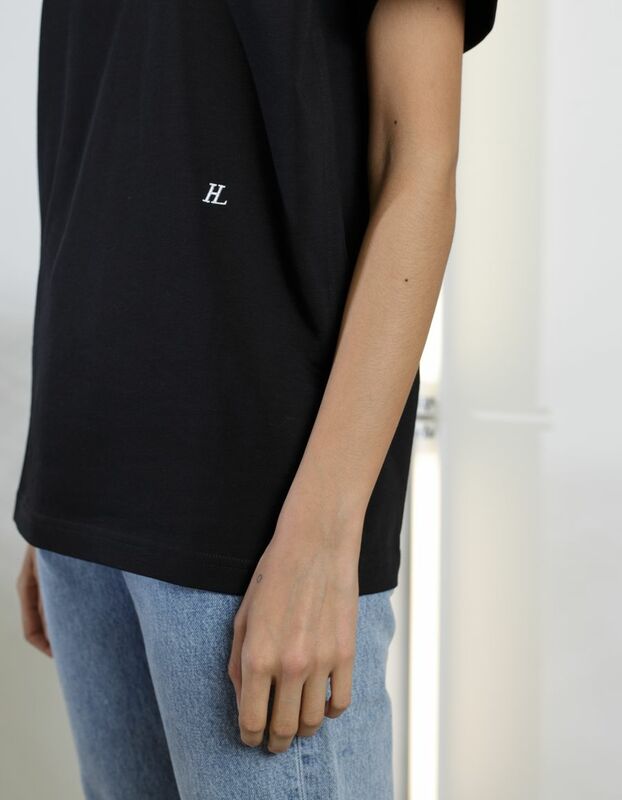 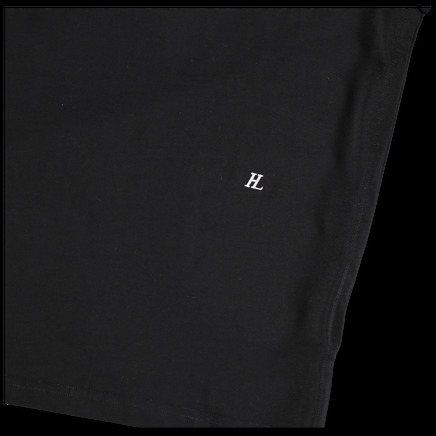 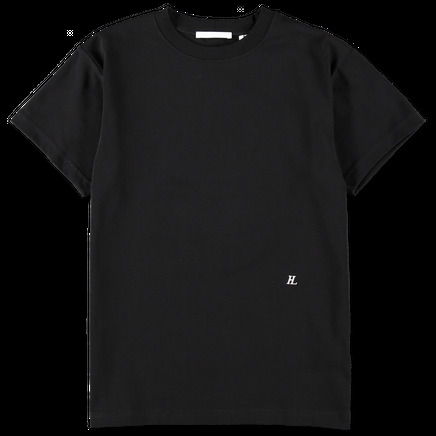 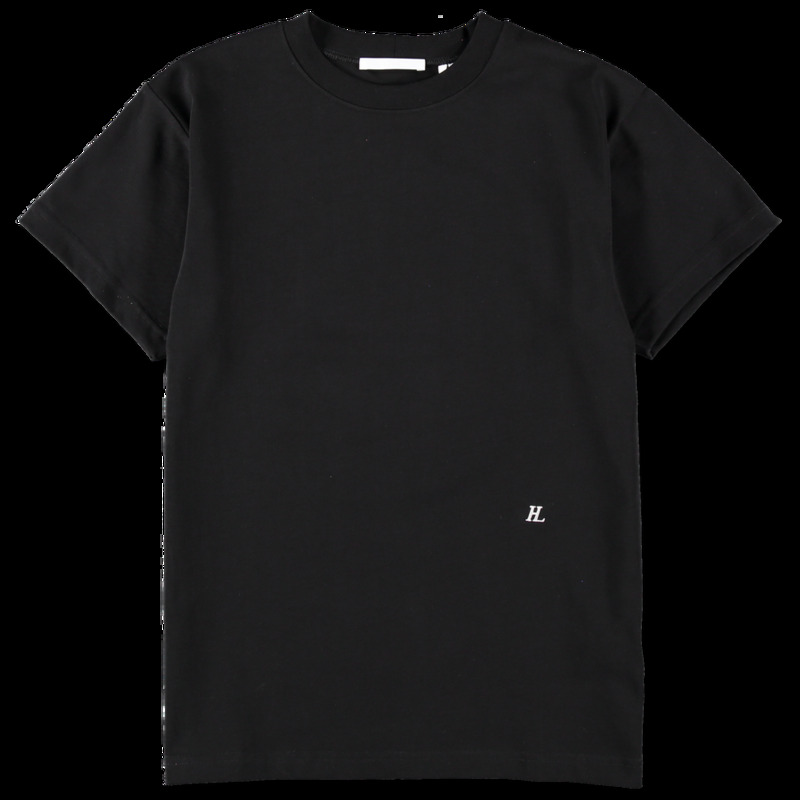 HL Logo Tee Ring Detail by Helmut Lang. 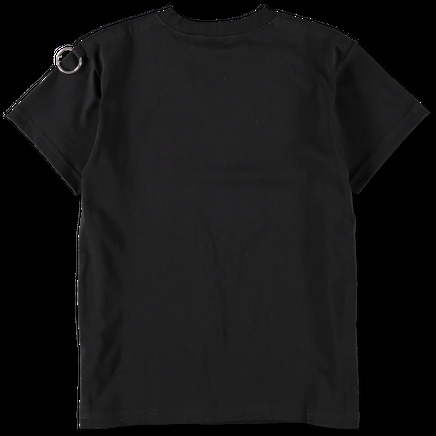 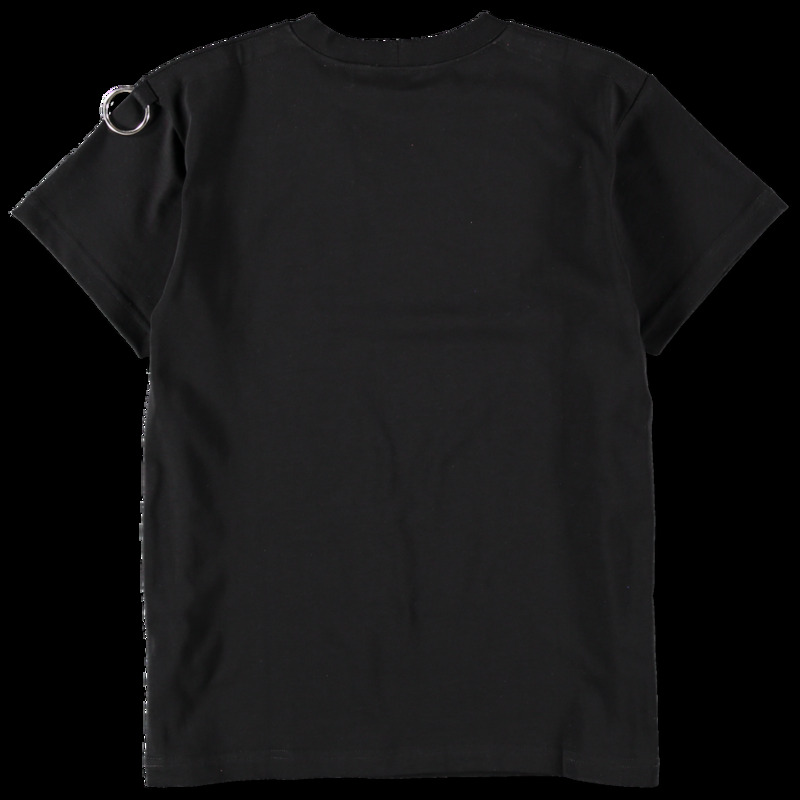 Cotton/elastane jersey featuring small embroidery on front and metal ring detailing on back shoulder. 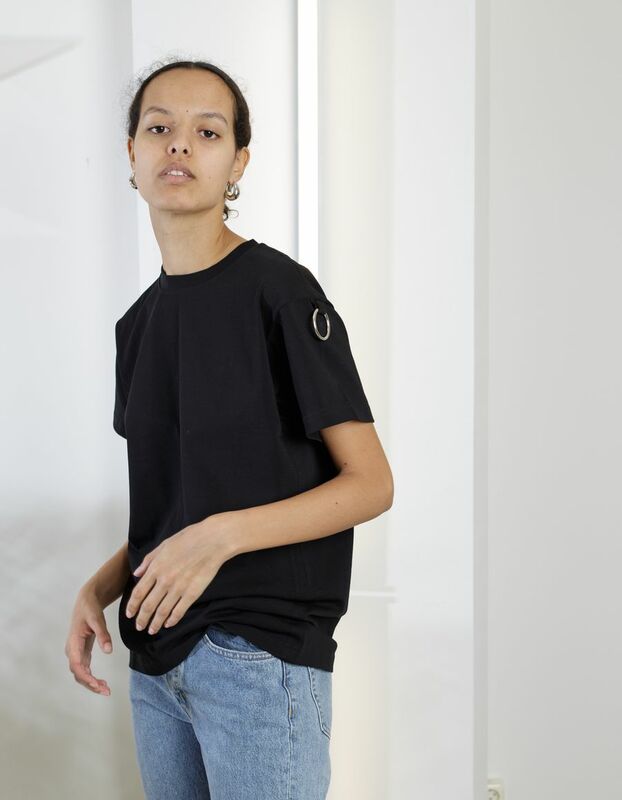 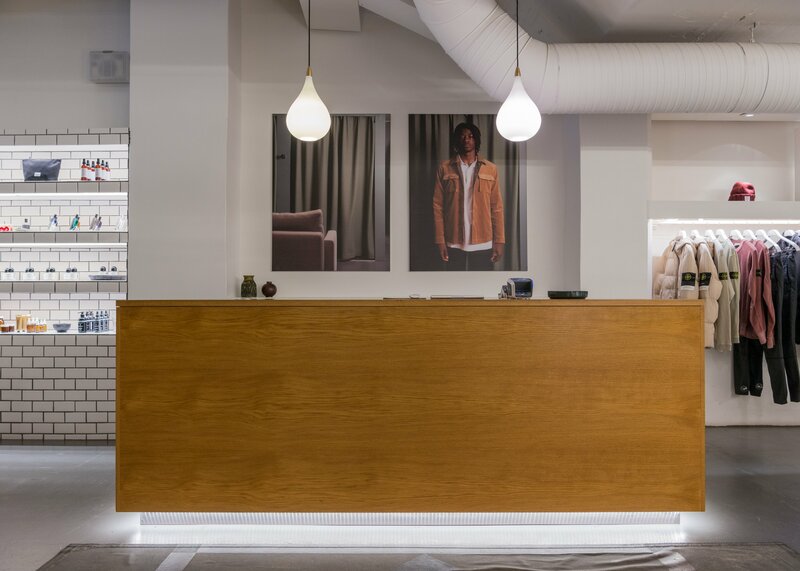 Worn here with denims from Helmut Lang, shoes from Nike and jewelry from Tom Wood which are sold separately.